Location:The Uchiha are spread out around the world an generally don’t make their heritage known. Where one Uchiha can be found many are sure to hang around. The Uchiha clan descended from the elder of the two sons of the Sage of the Six Paths. The elder brother inherited the Sage's "eyes", powerful chakra and spiritual energies. When it came time for the Sage to choose a successor, he questioned the two on what course of action they would follow to bring order to the world. The elder believed that power was the way to bring peace, while the younger believed love was the way. The Sage favoured the ideal of the younger brother, and therefore designated the younger as his successor, causing the elder to be filled with jealousy and hatred. From this hate came what Tobi calls the Curse of Hatred. From the younger son descended the Senju clan who would be the eternal rivals of the Uchiha. However, the Uchiha suffered another more dangerous curse: a passionate love that can become a bottomless well of despair the moment the one they care for most is dead. Before the founding of the ninja villages, the Uchiha were one of the many mercenary clans for hire. Because of their Sharingan as well as battle prowess, the Uchiha clan came to be known as one of the two strongest clans, the other being the Senju clan. Madara Uchiha was particularly powerful, and, upon attaining the Mangekyō Sharingan, took control of the clan. Under his leadership the Uchiha grew stronger, conquering whatever clans they came upon, such that, whenever the Uchiha clan was hired for a job , the opposing side would hire the Senju, and vice versa. Some time before Konoha's founding, some members of the Uchiha clan began to willingly surrender, realising that they were outclassed by the Senju. The Senju later grew tired of the endless fighting, and approached the Uchiha clan with a peace treaty once again. Though rejected time and time before as Madara feared that an alliance would destroy the Uchiha clan, he willingly accepted after witnessing Hashirama's resolve. The two clans came together to form Konoha, with Hashirama Senju, leader of the Senju clan, being selected as Hokage. Madara believed that this was proof that the Uchiha would be made subservient to the Senju, but his clan saw this only as his attempt to rekindle the flames of war. They turned their backs on him, and he defected. Konoha's governing affairs. Though Setsuna and his followers tried to rebel against the village as Madara did, they found that it was too late to make a difference, as the Senju had already completely suppressed the Uchiha. Despite Tobirama's attempts, it only caused a greater rift between the Uchiha and the village. The matter grew worse when a young Obito Uchiha, presumed dead at the time, witnessed the death of Rin and became a follower of Madara's ideals. Years later, after the Nine-Tails' Attack on Konoha, Konoha's elders began to suspect that an Uchiha was behind the attack because of their ability to control the Nine-Tails with their Sharingan. Tobi stated that the clan was forced to live in a corner of the village, ostracised from the rest of the community, and placed under heavy surveillance. This gave birth to ill-will amongst the clan and the Uchiha interpreted this as confirmation of what Madara had warned them of years earlier, and began to plan overthrowing the village. Itachi disagreed with his father who was the then leader of the clan and militia Fugaku's coup d'état plan, and informed Konoha's leadership of what the Uchiha were up to. Shisui Uchiha, who had been told to keep an eye on his best friend Itachi also disagreed with the clan's plan and joined Itachi in his mission to put a stop to it. He attempted to used the ability of his Mangekyō Sharingan: Kotoamatsukami to Danzō from committing the genocide, but once again, Danzō — determined to protect the village the only way he saw possible — stole Shisui's right eye from him. Saddened that he had failed to stop Danzō, Shisui met with Itachi and gave him his left eye before the elder came after it as well, telling him to protect the village and the name of the Uchiha. The Third Hokage, Hiruzen Sarutobi who had disagreed with the treatment the Uchiha were receiving, tried to negotiate for a more peaceful solution, but as time passed and that strategy seemed to be getting them nowhere, Danzō took matters into his own hands and inveigled Itachi to commit the genocide with threat of his clan's actions creating another war and innocent children, such as his little brother, becoming a casualty. Within one night, the entire clan was slaughtered with only one known Uchiha left alive: Itachi's younger brother, Sasuke. Sasuke would spend the next few years trying to avenge their family by killing Itachi, something Itachi had planned from the very beginning. After accomplishing this goal, Sasuke learned of Tobi's existence. Tobi, who is in fact Obito Uchiha, another survivor of the clan who was also the one behind the Nine-Tails' attack, told Sasuke about the Uchiha's history and why Itachi had wiped out the Uchiha, prompting Sasuke, with Obito's help, to resolve to destroy Konoha. Sasuke would later be shown the truth by Itachi himself after he was reincarnated. After the fourth shinobi war Sasuke revived the Uchiha clan and it thrived. The Uchiha became feared because of their profound natural talent and the Uchiha hid in fear of persecution. The Uchiha are a clan of incredible hereditary natural talent. They can become quickly skilled at almost anything and have strong chakra capable of using high ranking techniques. The Uchiha are generally feared by all in the world so they don’t reveal their identity as a Uchiha. Some how though the Uchiha remain vary unified. If you find out the identity of one you may find he/she has many friends that are also Uchiha as they tend to stick together in groups. No Uchiha since Sasuke has achieved the Mangekyō Sharingan and it has become taboo for a clan member to gain this ability. Those who achieve the Sharingan are hated by their own clan as they see them as returning to their old ways. A such anyone who has the Sharingan is banished and in some cases hunted by their own clan even if the person obtained it by accsident. Those of know a Uchiha well will learn they have nothing to be afraid of. The Uchiha try very hard to earn respect for their clan and do what they can to help others. In rare cases a Uchiha may become well know, revered and openly accepted by their village sharingan or not. Those who have the Sharingan will still be shunned by their clan. You will learn Jutsu from your chosen profession at half cost. • Members of this clan have powerfull chakra. As such they can use techniques one rank higher than normal. In the case of fire based techniques two ranks higher. • Members of this clan have black or dark blue hair. Strengths:Uchiha are powerful foes having a heretical fighting advantage to other. And great capacity for genjutsu. Weaknesses:Most people are scared of the Uchiha. As such making friends and fitting in can be hard. Usage: This technique only allows you to be able to cast genjutsu(Ranks E-D) through eye contact without the need for hand signs. Usage:This level allows the eyes to see in slow motion. Giving the user more time to think and react. It also helps in predicting ones movements. This level allows the eyes to cast all ranks of genjutsu. It also allows the user to use special Mangekyō techniques. You start with 100 charges. For every post the Mangekyō Sharingan is on you lose 1 charge. Also special Mangekyō Sharingan moves will deduct additional charges. After you loose all charges you will become blind and be unable to use the Sharingan at all. Special Mangekyō Sharingan are automatically purchased. Requirements:Be a Uchiha. Have the Mangekyō Sharingan activated. 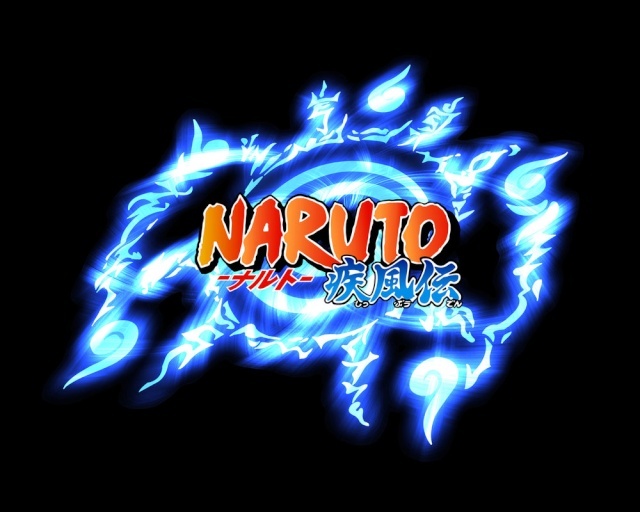 Usage:The jet-black flames of the Amaterasu, said to be "the fires from hell", is also said that they are as hot as the sun, ignite at the focus of the user's vision. Though the flames have been stated to be unavoidable, Amaterasu has been avoided a few times. 5 charge deduction each turn. Usage: According to Obito Uchiha, for a Sharingan user to activate the Susanoo is a rarity. Like the other techniques granted by the Mangekyō Sharingan, the user's eyes and body are strained while using Susanoo because it consumes a large amount of their chakra. Sasuke described it as feeling pain in every cell in his body which only grew from prolonged use. Susanoo is formed through the materialisation of the user's chakra and as such differs in appearance as well as colour between users. While the user usually remains grounded within Susanoo, it is possible for them to freely move around within its body or levitate inside of it. The user can also allow others to enter Susanoo, as well as leave its body entirely. While Susanoo acts as a defence against external attacks, the user's own techniques are able to pass through its body. This leaves a potential flaw in Susanoo's defence; Gaara for example was able to drag Madara Uchiha outside of his anchored-Susanoo using the sand under his feet. The user can also manifest portions of Susanoo's body as well. Also, a sufficiently powerful attack will still result in damage, especially during the technique's developmental stages after which the user is left open for attack. The only known ways to attack the user while Susanoo is active is either to draw the wielder out of the technique and then attack, bind and restrict its movements, or to break the defence with overwhelming force. Susanoo users are also vulnerable to attacks which don't actually deal physical damage to it, such as strong lights and sounds, that can also impair their ability to sustain Susanoo. The users are also still susceptible to such things as sound-based genjutsu. Each Susanoo goes through several different forms, which the user can switch between at will or even leave in a state between forms. The development of these forms was best demonstrated while Sasuke was learning how to use the technique, gaining additional forms as his control over it increased. In its earliest form, users can only manifest a portion of Susanoo's skeleton. A smaller version of Susanoo's ribcage is generally produced first which, while providing a good defence, can still be fractured or even melted. An arm can also be formed, which is sometimes connected to this ribcage, and can then be used to interact with the surroundings. It is also possible to utilise one of Susanoo's weapons using said arm and change its size as needed. When first forming, Susanoo manifests around the user like an aura. As users gain additional control, musculature and skin begins to appear atop of its bones, which progressively complete the full skeletal structure. It is only when Susanoo's growth is fully matured and thus, the user is completely surrounded, that the vulnerabilities of the skeletal form are eliminated. Eventually, Susanoo develops into a "complete" warrior-like form, where its skin, armour and final arsenal of weapons are manifested in their entirety. At this stage, it can anchor the user to the ground, preventing opponents from forcibly moving them unless they can get through Susanoo's various layers. In its final form, this fully humanoid shape is further surrounded by a secondary layer of armour that causes Susanoo to resemble a yamabushi. This uses up 5 charges per post. There are 5 stages each stage but the first costs an added charge reduction.